Cassius will be bringing their house sound to Ministry of Sound on Valentine’s Day, Saturday 14 February. Philippe Zdar and Boom Bass AKA Cassius are possibly one of electronic music’s most respected acts. 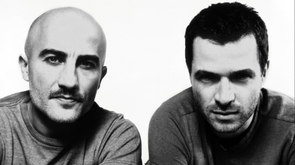 Pioneers of the French Touch sound in the late 1990s alongside acts like Daft Punk and Etienne de Crecy, they created classic house tracks ‘1999’, ‘The Sound of Violence’, ‘Feeling For You’ and ‘I Love You So’. The duo have gone on to produce artists such as Pharrell Williams, Drake, The Rapture, Two Door Cinema Club and Chromeo. Supporting Cassius in The Box will be fellow Parisian, Clara 3000. Clara first stepped behind the decks at the age of 19 and now, six years later, she's possibly one of the biggest underground DJs in France. She also regularly plays on Rinse FM France. In 103, Belgian producer Vito de Luca, known as Aeroplane, will be bringing his "spacious cosmic disco" to the party, the kind of style he’s taken to other artists via remixes for MGMT, Chromeo, Friendly Fires and Justin Timberlake. Joining Vito in 103 is The Mekanism. After holding down residencies in 2014 at Parisian haunt, Social Club and Ushuaia via Ibiza’s techno party Antz, he made his appearance on Boiler Room, evidence of his rising status.